WINDS: East-northeast at 6 to14 knots or 11 to 26 km/h over land and coastal waters. SEAS: Significant wave height reaching 1.5 meters or 5 feet. Sunset today: 5:39 pm. Sunrise tomorrow: 6:07 am. 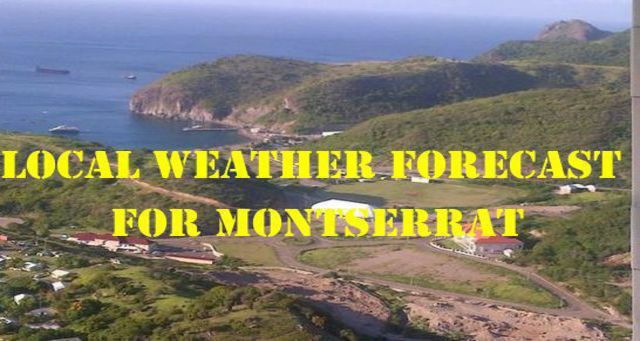 Please continue to monitor DMCA ’s facebook page -Montserrat Disaster Management Coordination Agency -DMCA and website – www.dmca.gov.msand ZJB Radio Montserrat for regular updates.